In the late 1860s Father Benson purchased four acres of land between Cowley Road and St Mary's Road, half of which he designated for a churchyard and a new church. 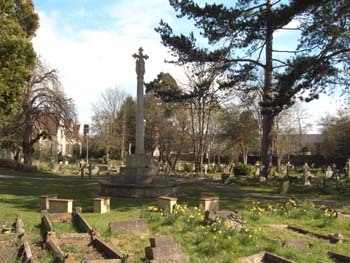 There was an acute need for burial space in east Oxford (See Introduction and Fact Sheet 5 on Public Health) and the churchyard was consecrated on 1st October 1878. "The geometrical pathways, which divide the area up into fourteen sections, were planted with pollarded limes and Irish yew. In addition, there are some Corsican pines and, in the southern-most plot, two very fine Wellingtonias. Indeed, the importance of the churchyard as an arboretum for the Cowley parish cannot be underestimated. Furthermore, the 1870 landscape remains entire, as well as the pathways and the axial avenues. It would not be an exaggeration to say that the churchyard of St Mary & St John's is a microcosm of a typical municipal cemetery of the mid-nineteenth century. 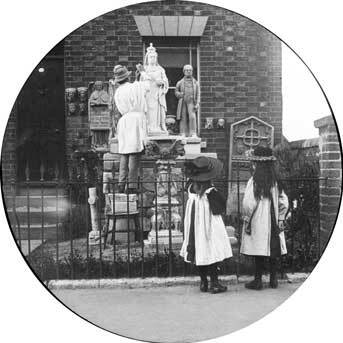 Those laity buried in the churchyard between the date of its opening and c.1900 include those who were instrumental in assisting Fr Benson in establishing and staffing his charitable works in the Cowley district. Furthermore, the dedicated plots of the religious of the Society of All Saints Sisters of the Poor (D201) and of the Sisterhood of the Holy Childhood (E195), together with the plot containing the remains of certain priests associated with the Society of St John the Evangelist (D202), mark out this churchyard as containing more remains of the religious and ordained 'workers' of the nineteenth and early twentieth-century High Anglican movements than anywhere else in the Great Britain. Samuel Grafton, sculptor, 145 Cowley Rd. As one would expect of an urban churchyard - or, indeed, of a cemetery - in use between 1870 and 1970, the majority of the headstones and monuments were provided by high street monumental masons rather than named sculptors and/or lettercutters. Be that as it may, many of the monuments ordered from these masons' catalogues tend to be of the more expensive variety, as one would expect in any district of a university city, where many socially-minded academics of the nineteenth century chose to live in such areas as Cowley where good works were being done by the Church for the industrious labourer and artisan. 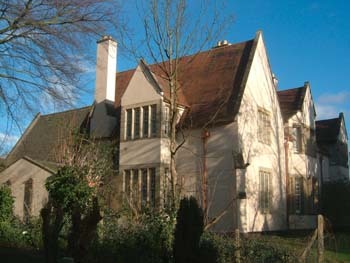 The variety of stones is immense and includes: Italian marble, grey Cornish granite, pink and red Scottish granite, Ancaster stone, Bramley Fall sandstone, Clipsham stone, Delabole Devonian slate from Cornwall, Forest of Dean stone, Hopton Wood stone, Penryhn slate, Portland stone, York stone and, of course, Blue Hornton stone from Oxfordshire. There are also numerous pented wooden crosses, either with or without a crucifix figure and/or wooden kerbing, and also an iron cross. Of immense importance are three fired terracotta headstones, of a 'Coade Stone' type material, manufactured by Thomas Grimsley & Sons of Oxford. As for the ferramenta, the majority of the iron tomb railings were misappropriated by thieves in the second and third decades of the twentieth century for sale as scrap. There are, of course, more headstones and monuments by sculptors and lettercutters in Cowley churchyard than one would expect to see in similarly-dated urban churchyards. This is as a direct result of its more discerning clientele, by which I mean those associated with careers in Oxford's university colleges. The finest is a headstone and footstone of Ancaster stone of c.1936 by Julian Allan to Florence Symonds (d.1935) and probably ordered as the result of a visit to The Sculpture Centre at 26 Albemarle Street, London W1. An identical headstone by Julian Allen is illustrated in Sculpted Memorials and Headstones, London (The Sculpture Centre) 1934, 7. Julian Allen, of whom very little has been written, appears to have been a pupil of Gilbert Ledward RA." 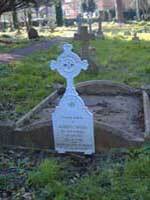 The first person to be buried in the churchyard was Sister Julia Mary from Holyrood, on 18 November 1876. Special permission had to be given by the Bishop as the land had not been consecrated. When the burial ground was consecrated on 1 October 1878, the chancel of the church was opened for the consecration service. 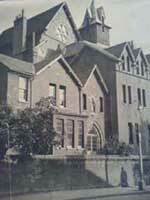 A celebratory tea for 300 was held at Princes Street School, for which parishioners paid a shilling each to attend. After tea Father Benson gave a speech and made an appeal for funds for the new church. Following this Messrs Hodgson, Churms, Knowles and Bowden sang accompanied by Mr Illife on the piano. In October 1879, the Home Secretary gave formal approval for the churchyard. By 1883 there were 200 burials at the churchyard. By 1947 there was no more room for any graves, except people who had booked their grave, or who were going to be buried with their family members. The churchyard was formally closed for burials in 2000, though the ashes of people who have been cremated can still be buried. Today there is evidence that well over 2000 people were buried in the churchyard while it was open. 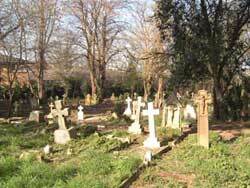 The Family History Society have identified those with memorials, but there are many people buried in the churchyard who have no memorials. For example, people whose family could not afford a memorial, children, and those who died in the workhouse and other institutions such as Littlemore Asylum and the Cowley Industrial School (The Poplars). Who is buried in the churchyard? The churchyard was primarily for local residents. Parts of the churchyard were set aside for the burial of children, though some were buried with other members of their families. There is an un-consecrated section (H) that was used for non-conformist burials. 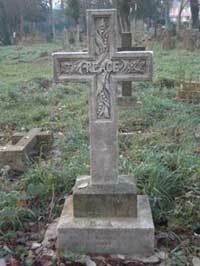 The graves in the churchyard reflect the lives, professions and occupations of people in east Oxford in the late nineteenth and early twentieth century. 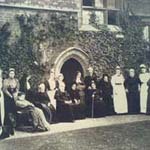 As Dr Litten has indicated, there was an influential affluent minority, not least connected with Oxford University, but there were also many living in poverty. However, it was an area in which professional and trades people lived and worked together. There are also people buried in the churchyard who came from further afield who may well have had connections with Father Benson and the Society of St John the Evangelist. Soldiers who fought in the First and Second World Wars have Commonwealth War Graves. 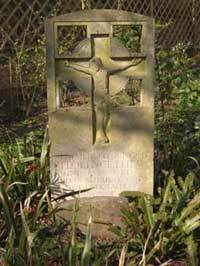 The church is paid by the Commonwealth War Graves Commission to maintain access to these graves. Some have Commission headstones, others are buried with their family. Gravestones had a particular significance in the nineteenth century. 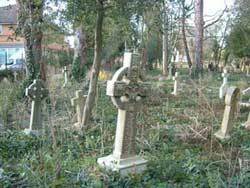 During the Victorian era the population increased and more burial ground was needed. After Queen Victoria's husband Albert died in 1861, the Queen spent a long time mourning his death and death became more public. Families with the means were keen for their relatives to have elaborate monuments to be remembered by. 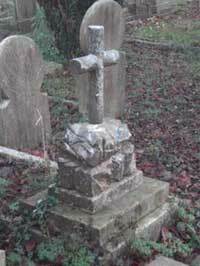 It is difficult to trace the stonemasons and sculptors who carved the monuments and gravemarkers, but in a few cases they left a 'signature': Grimsley (D019, D182, D205), Axtell & Son (B86), Hedges & Son (B143), J.F.Booth of Banbury (E190), and Harris, Bristol (D123). Map references, e.g. F57, refer to the area and grave number given on the maps of the churchyard produced by the Oxfordshire Family History Society in 2003 and reproduced from their CD-ROM with permission. For other Sources, websites and further reading, see Introduction.